My name is Jennifer Manders. I grew up thinking I was going to become a veterinarian but one day while grooming a dog, I decided I really enjoyed it. I was asked to go to a dog show and help a fellow groomer and was instantly hooked. I acquired my first show dog and soon fell in love with the toy poodle. It didn't take me long to get a couple more and begin grooming and showing them. I have now enjoyed this since 1995 and have many champions to my name. What could be better then being with dogs all day and doing what you love? I strive to breed puppies that adhere to the AKC standard of perfection in conformation, temperament and with good health. All my breeding dogs are health tested for the recommended test for their breed. Many of them have CHIC numbers as well. I never knowingly breed a dog with any health concern. My dogs also have wonderful, smart, easy to live with personalities. Feel free to give me a call or email me with any questions. I am always happy to help you find just the right puppy for your family. 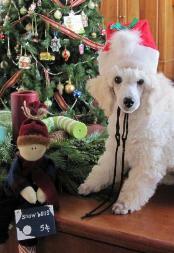 As of Jan 2015, we are currently the breeder of the Number 1 miniature poodle in the USA. Bronze GCH Forever Have Faith in Me is top winning miniature poodle. 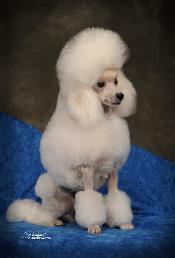 He won an Award of Merit at our Poodle Nationals this year too. 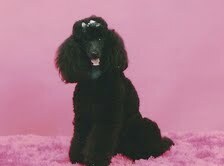 His sister GCH Forever Leap of Faith is also a top winner and group placing dog. 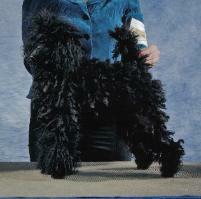 In 2009 we had the #2 Toy poodle in USA. ​to provide families with puppies as nice as the ones we keep to show. 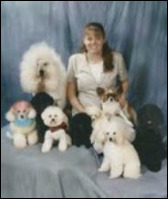 ​We are proud breeder of over 200 akc champion show dogs in over 24 years. 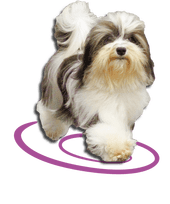 The Breed standard is the same for all three varieties except the size is different. 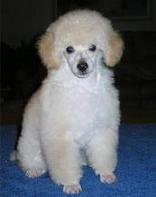 Toy poodles are 10 inches or less at the shoulder (usually making them 4-7 pounds.) There is no such thing as a teacup, it is just a word used to describe a very small toy.